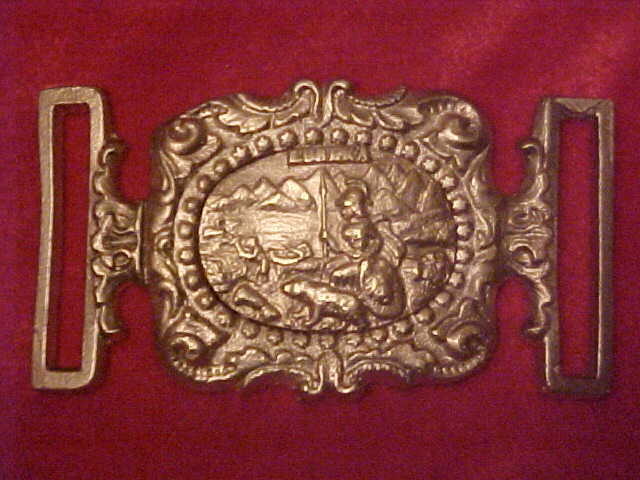 Original California Two Piece Belt Plate. Same type as the reproduction TG-24 above. 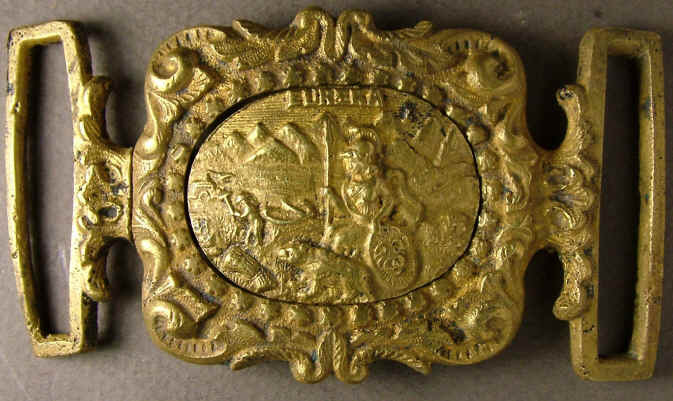 Very rare buckle but most were used by the California gold miners on their utility belts bought or given to them by suppliers of mining equipment. 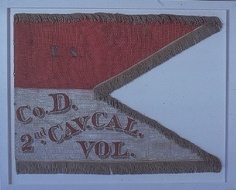 Also used by the military. 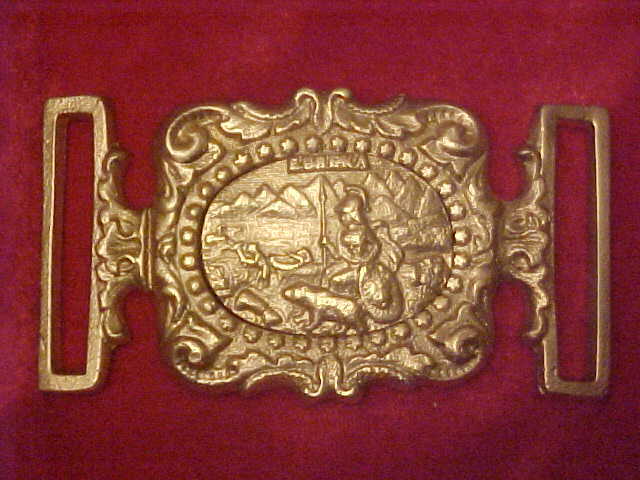 G - 24 California Two Piece Belt Plate Circa 1850 The original G-24 California two piece had a flaw at the top left of the wreath. The brass did not fill out in the sand mold. The TG-24 on the left does not have this flaw.